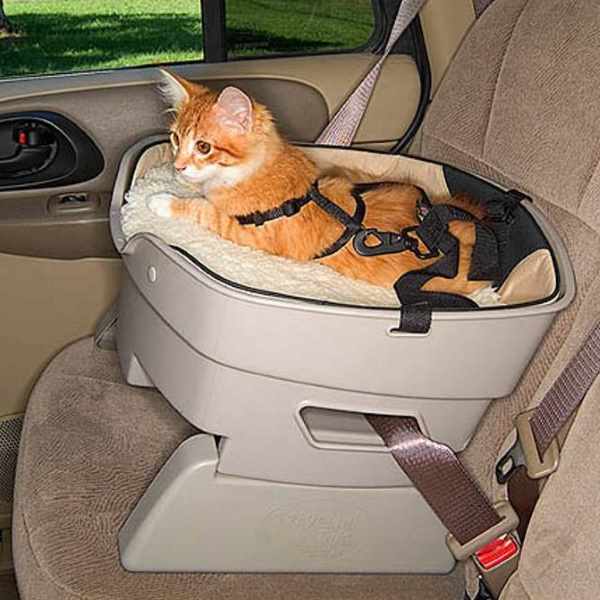 The Travelin’ Dog Pet Seat is a car safety seat for both dogs and cats. 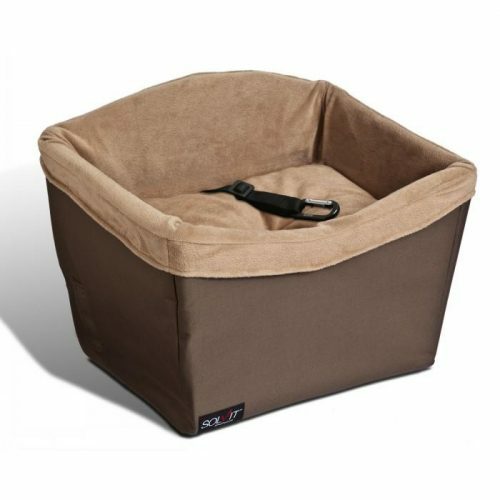 With its comfortable fleece-covered foam riding pad and soft-side padding, your pet will ride in comfort in its own seat. 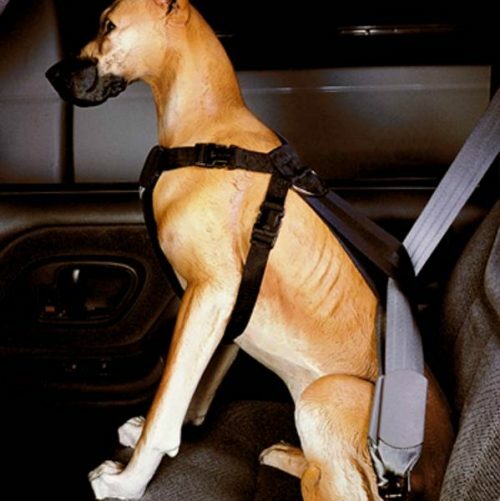 Pets can ride 15cm above the seat with the legs folded under or at a 25cm height when the legs are extended. 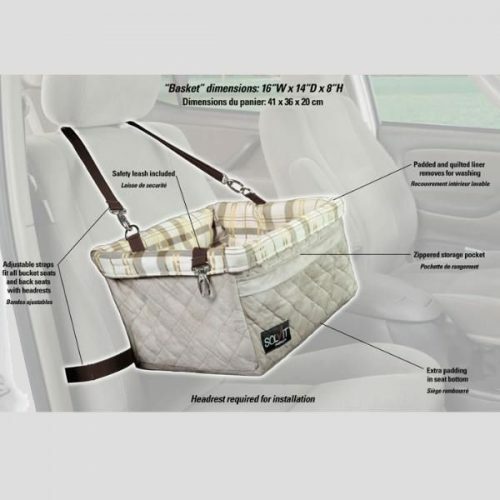 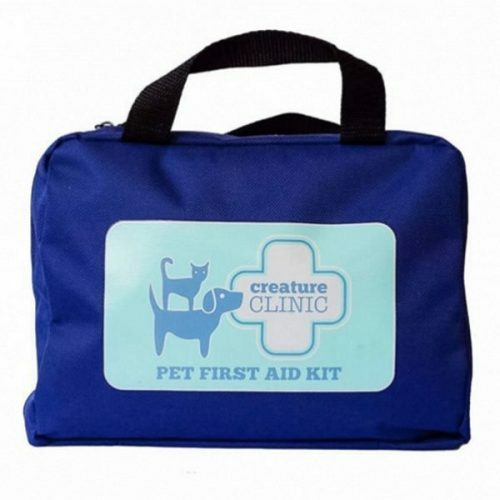 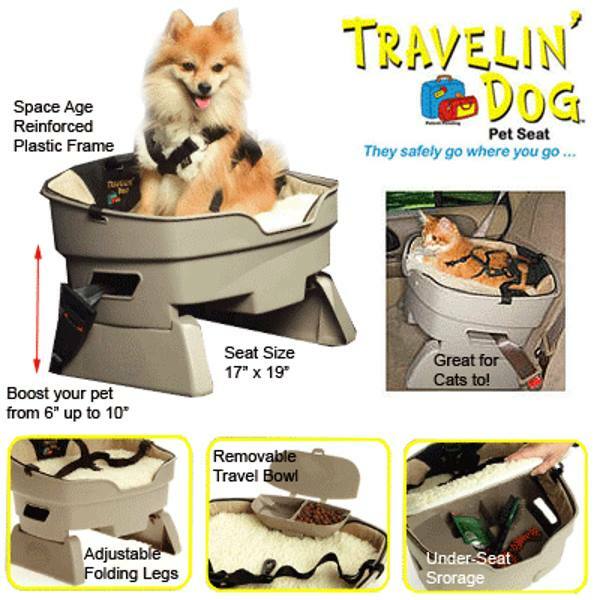 Travelin’ Dog Pet Seat is a car safety seat for both dogs and cats. 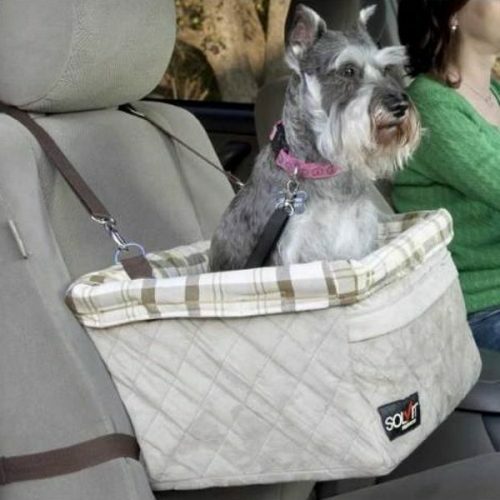 With its comfortable fleece-covered foam riding pad and soft-side padding, your pet will ride in comfort in its own seat. 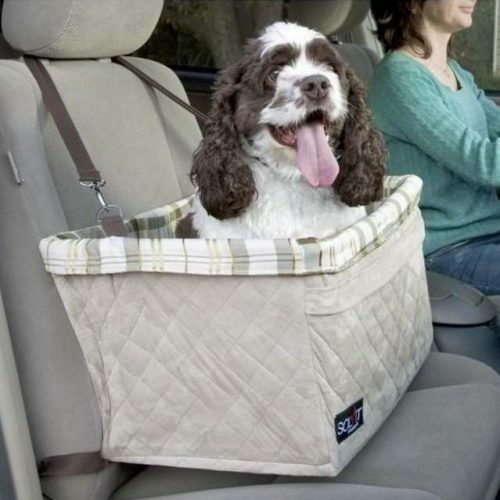 Pets can ride 15cm above the seat with the legs folded under or at a 25cm height when the legs are extended. 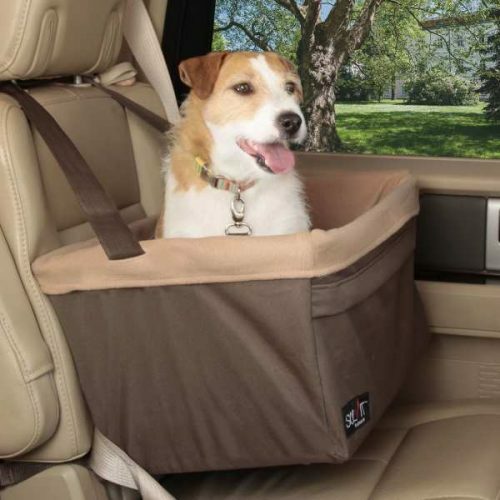 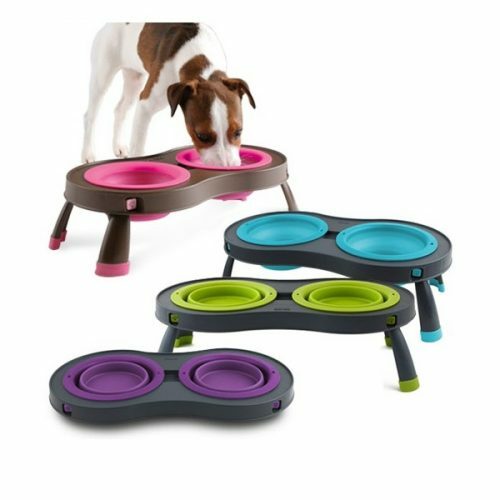 The Travelin’ Dog Pet Seat features a heavy-duty three-way strapping system to secure the pet from both forward and sideward motion. 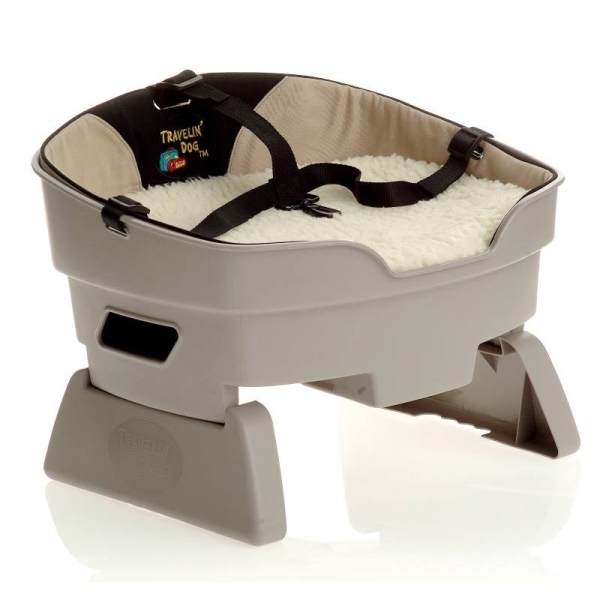 – Neutral colour and attractive design. 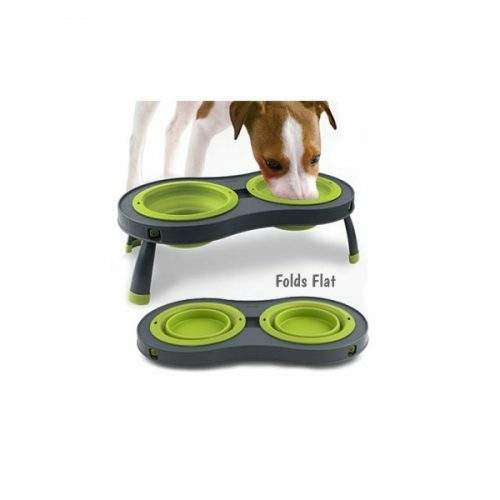 – Dimensions (with legs folded in): 48 cm wide, 44 cm deep, 20cm high. 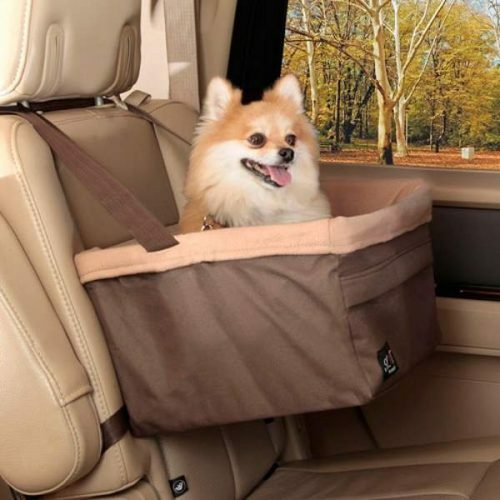 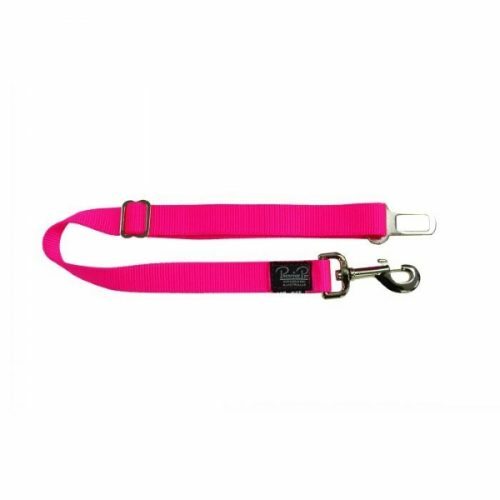 The Travelin’ Dog Pet Carseat sports straps at the back and sides that connect to your dog’s harness. 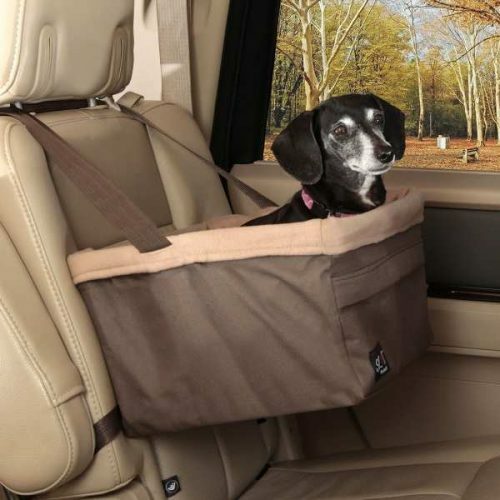 The dog booster seat’s 1½” back strap prevents your pawed passenger from falling forward during sudden stops; the 1″ sides traps keep him from being thrown sideways. 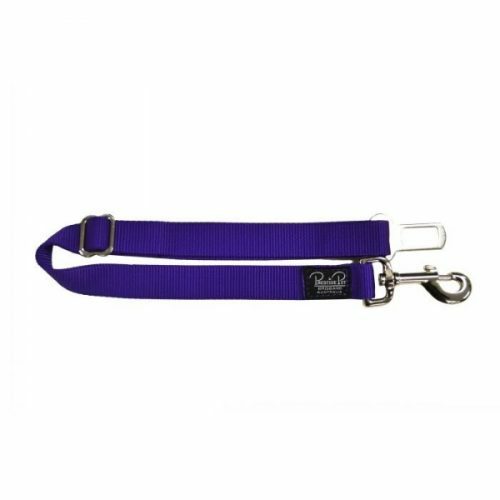 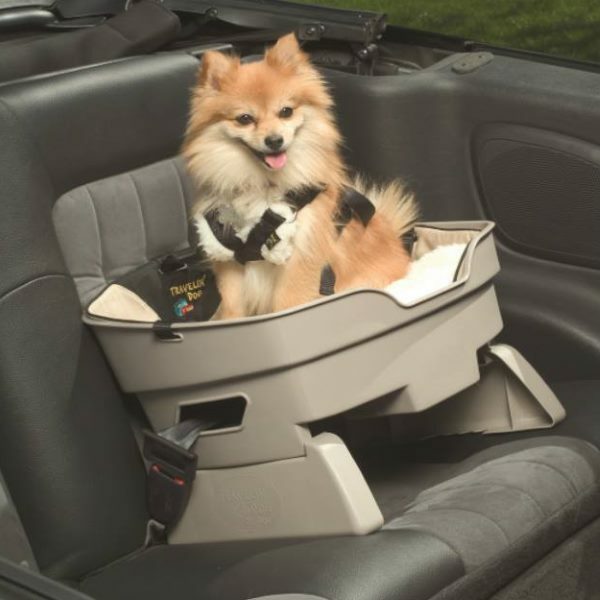 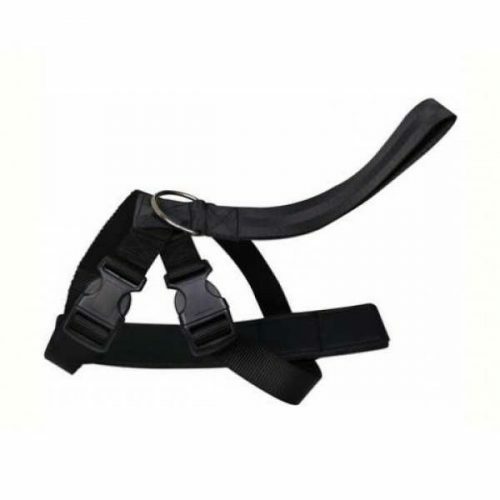 The back strap fastens through three openings in the back of the dog car seat to provide a strong anchor. 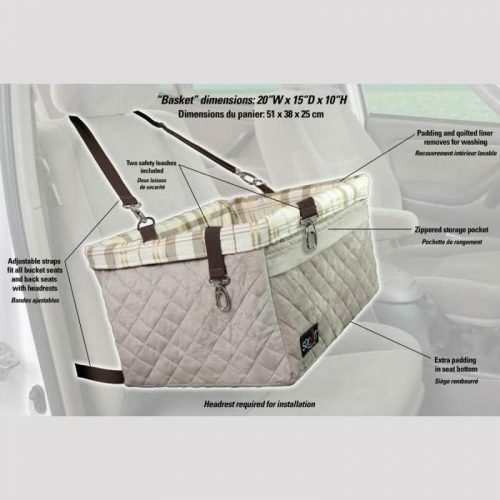 The plastic frame in this area is reinforced for added security. 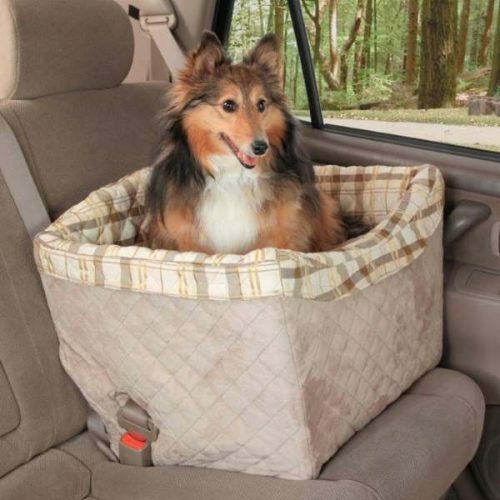 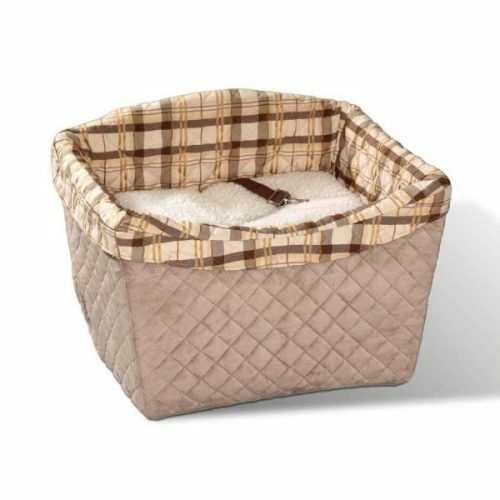 This dog car seat features a seat with thick foam and plush fleece as well as padded sides that look and feel like a dog bed, making your pet’s drive that much more enjoyable. 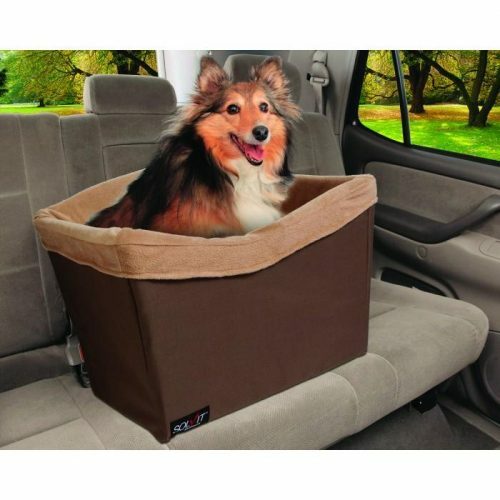 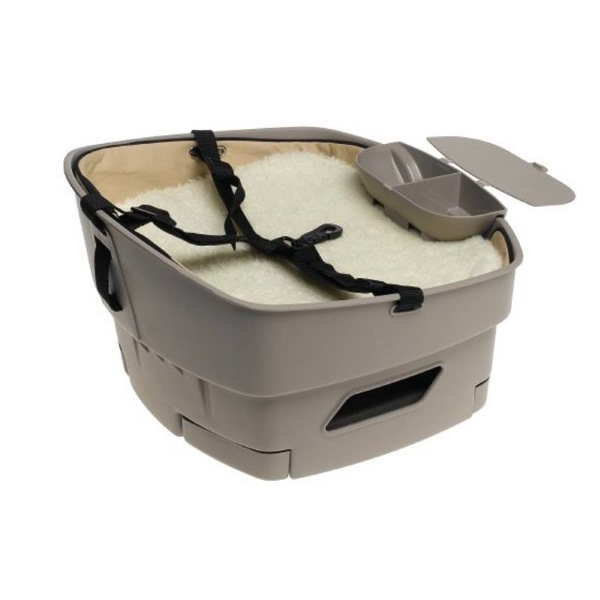 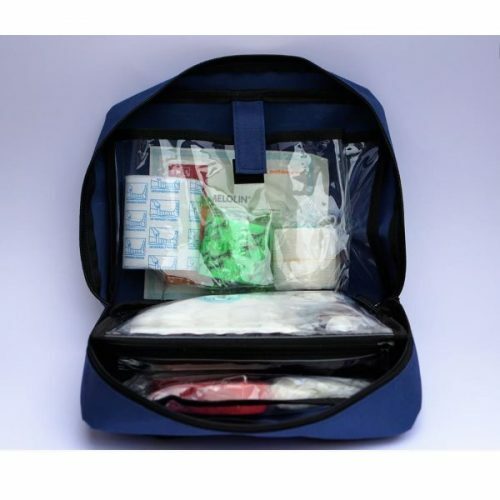 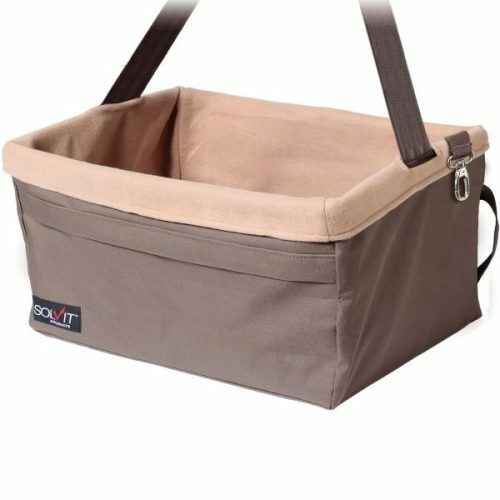 When you arrive at your destination, the dog booster seat can be used as a pet bed with the legs folded under – perfect for on-the-road stops or at home.